The business of banking is to mobilize resources in the form of deposits and deploy the mobilized funds by way of loans. When borrowers default, the credit risk originates which is the basic concern around the world because higher degree of credit risk is accountable for higher provisions & capital erosions due to bad debts. There is a need to enhance the knowledge as to how to establish creditworthiness of the intending borrowers and reduce risk provisions / bad debts. This credit analytics online course helps all professionals who are involved in financial services industry to gain understanding of such techniques by way of credit analysis, understanding of financial statements like Profit & Loss Account items, Balance Sheet items and Analysis of Financial Statements and much more. The course has total 6 modules. Each module is of 15 minutes duration and total course has duration of 120 minutes. Each module is followed by assessments. Ajay Kumar Jhingan is an International Speaker/Trainer and Consultant in Corporate and Retail Banking and remained a Senior Faculty in the domain of Banking & Finance. He remained a Credit & Foreign Exchange Faculty at Canara Bank in India and has practical experience of more than three decades in various important positions in banking industry in India. He is a Certified Associate of Indian Institute of Bankers. During his banking career, he has handled credit appraisal, credit disbursement, credit monitoring/review and recovery aspects at various large branches & at Large Borrowable Accounts Department at Circle Office of the Bank. By virtue of his experience, he remained instrumental in providing training to credit, forex and inspecting officials for preparation of credit proposals, meaningful credit assessment, credit monitoring, credit administration, credit audit, Risk Based Internal Audit & risk management techniques in handling and minimizing the risks associated in the field of banking. He also has rich experience in handling various types of Inspections/Audits in the banking industry. He has not only delivered programs in banking & finance within India but also at international level for overseas banking community. 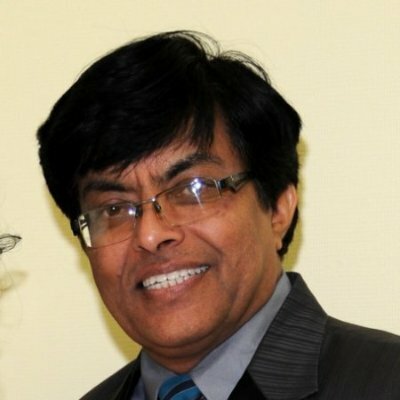 Having gained good number of years of practical working and teaching experience, he has now decided to educate the younger generation by way of online skill transfer courses in banking & finance which he thinks will not only serve the purpose as Hands on Banking Knowledge but also to learn it by yourself. Credit Analysis job has responsibility to assess the creditworthiness of the intending borrowers. There is a need to assess the likelihood that the borrower will be able to meet financial obligations and pay back the amount borrowed. The course will help the participants to know what should be the various basic aspects which should be taken care to decide whether to accept or reject the application. If it is to be accepted, what should be the terms of sanction including interest and charges etc. This course is designed to help the participants to look into the various basic aspects so as to acquire skills meant for the job. The course provides an opportunity to learn the basics of credit analysis for the entry level participants and for those who wish to develop their career in credit. What is the basic knowledge required before taking this course? A Basic knowledge of finance, accounting and other related subjects which are necessary to function as a Credit Analyst. Apart from this, analytical skills and communication skills will help the participants. What are the common misconceptions about credit analytics? The main common misconception is about accountability viz. what will happen in case the loan goes bad. It speaks of the weak confidence level as regards assessment is concerned. In my opinion, if one is thorough in basics & evaluation is done in a right manner with due care and security aspects are taken care of properly, chances of default risk are minimized. Regular monitoring with obtention of feedback from borrower at regular intervals is needed. This is where the Credit Analysis Basics play an important role, among other things. Why is your course different compared with other courses available on the market? a. 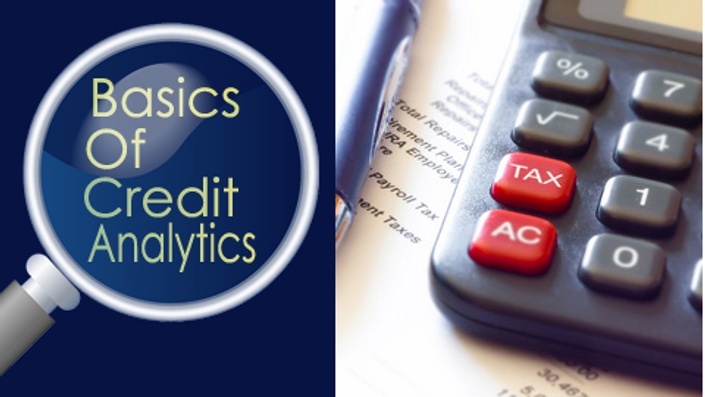 Limited Modules are packed with relevant basic information necessary for credit analysis job. b. Skill Transfer is taken care as each module is having necessary assessments which will help the candidates to check their understanding. c. Time of each career aspirant is important. This short duration course takes care of the same as aspirants need say 20 minutes or so to read each module and acquire knowledge. d. Practical aspect in calculating ratios is also taken care in the form of an Exercise to build up the interest of the candidates. Why did you decide to cooperate on this course with Global Risk Academy and Global Risk Community (GRC)? GRC is a forum of professionals that provides great opportunities not only to professionals who are interested in enriching their knowledge but also for the younger generation by way of dedicated programs which help acquire good professional skills. The two programs conducted by Mr. Ajay Kumar Jhingan on Documentation have very good feedback from participants. - Ajay is a good orator, instructor and a qualified trainer. He has excellent command in communication skills. - Dharam Vir Joshi - Branch Manager, MF Ltd (Retired Branch Head, Canara Bank, Delhi).